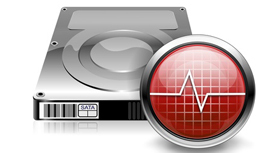 AES can repair and recover inaccessible data from nearly all types of hard drive systems. Hard drive data recovery involves replacing failed components such as read/write heads, head assemblies, magnets and drive motors in a clean environment. In most cases, the recovery process involves restructuring of the data by examining the low-level data sectors and determining what fixes to filesystem structures are needed to get access to the data. Using highly sophisticated techniques and proprietary equipment and software, our engineers are able to repair and recover data from raw images of all operating systems. We Do Tape Media Too! Click here.